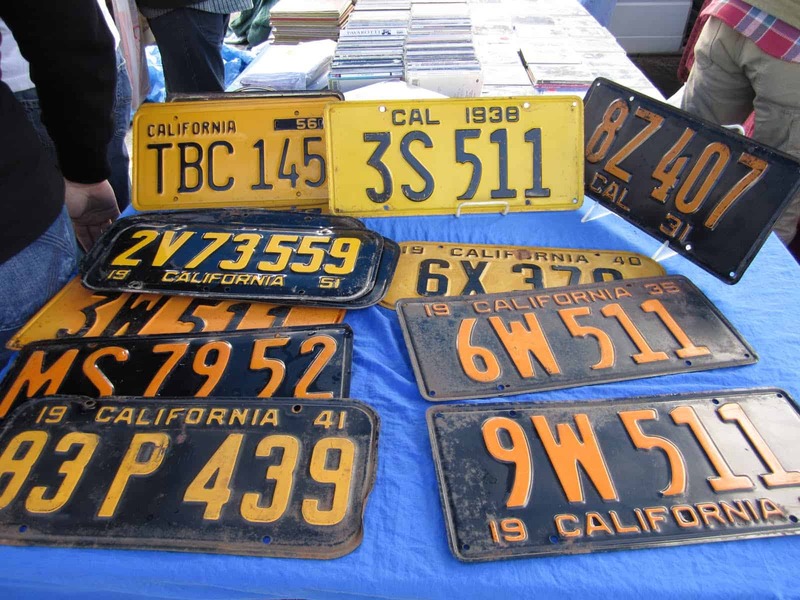 The Long Beach, California flea market is every third Sunday of the month, rain or shine. Usually, it is shining here…however, not on the day I decided to run up there at 7 am without an umbrella. For use as flower vases (like in the show house in my previous post.). One woman was buying about twenty for her Fall wedding. They are also good for storage and display. 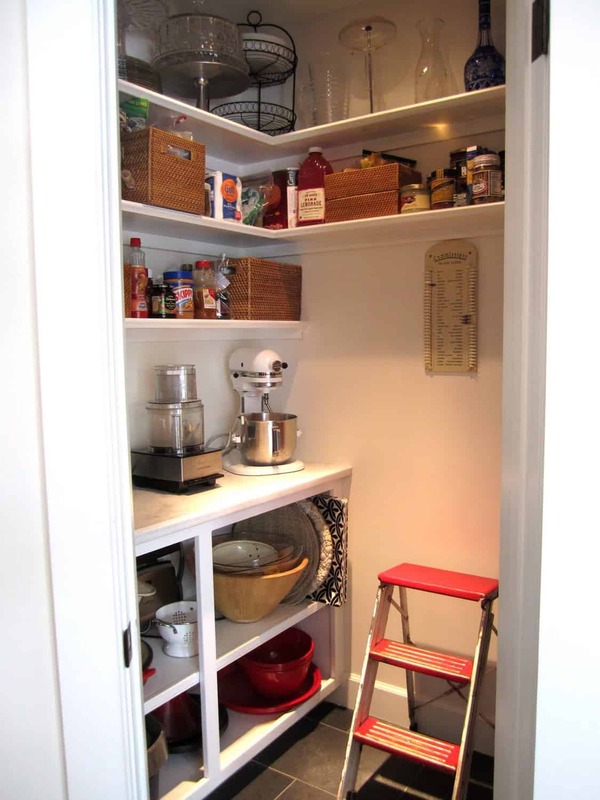 I could use a sturdy step ladder in my pantry…will it look cool or like a beat up old stool? 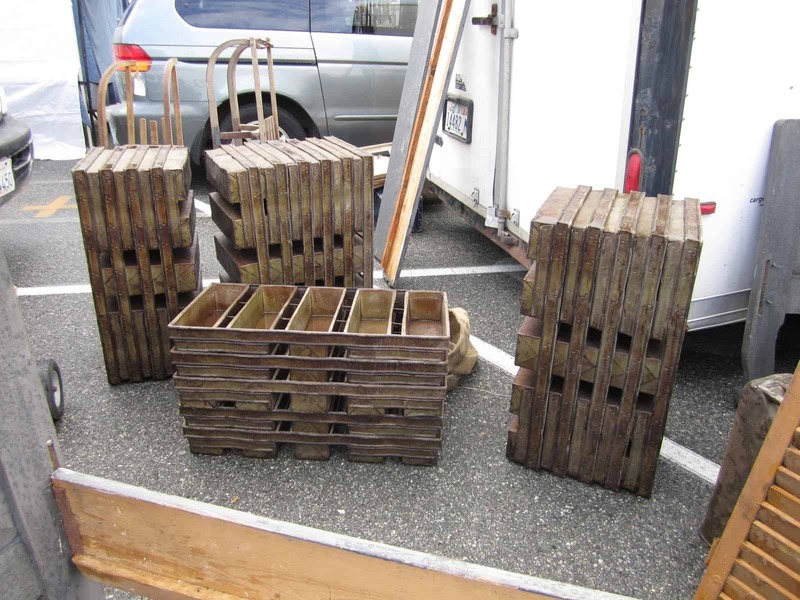 I am using a similar tool tray in our kitchen’s beverage center here..
One dealer bought ALL these industrial bread pans to sell as shelving. (my daughter bought me some in NY for Mother’s Day). 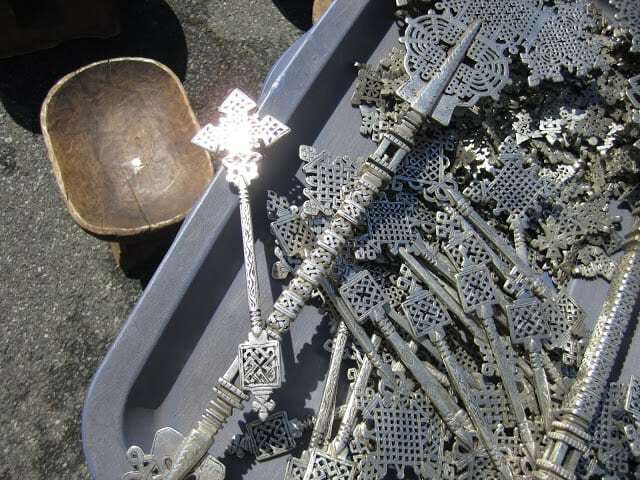 I think these crosses from Nigeria are pretty. I’d like to shine these up with some Bar Keeper’s Friend cleanser. (See how wet everything was from the rain?). This bunch of jade grapes caught my eye. University of Florida–until I turned one over and there was a $250 price tag. Look what came home with me. at least I can reach the top self now. My new copper tray was $10 (I also bought the larger one, not shown for $20). The jade grapes ($15) are the right shade in our living room. (it was a mottled black before I cleaned it) for $10. Brass is Back, Baby. Have you gotten any good deals lately at a flea market or garage sale? 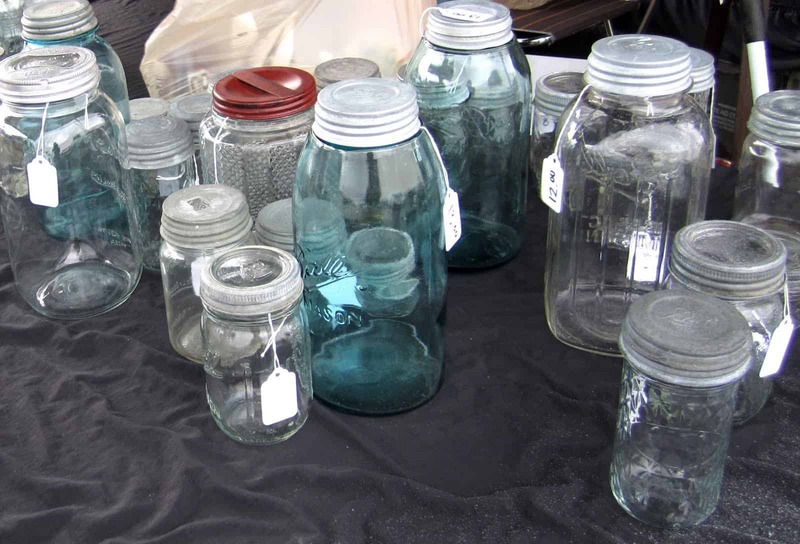 Put the flea market in your area on your calendar. Have fun. 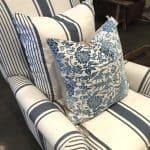 You found some great items that look beautiful in your home! 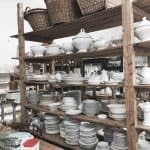 I've always wanted to drive to this flea market because I have heard it is really good! What fun you had! I love your home!!! What a great selection of beautiful items! LOVE that bamboo tray! I am amazed how the copper tray turned out, gorgeous! So many great finds! 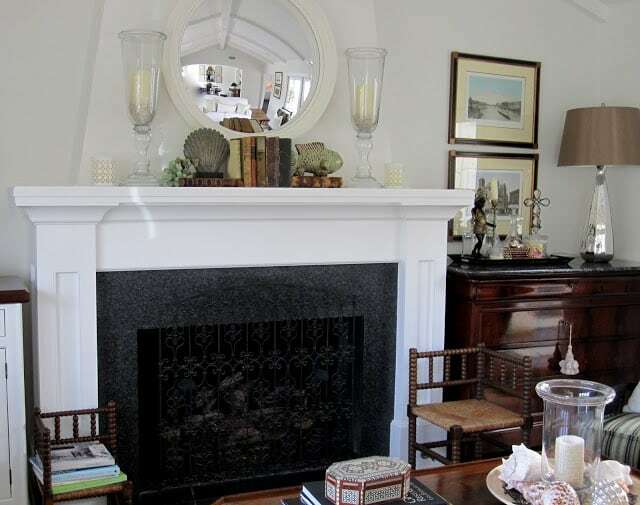 Love what you bought, it all looks perfect in your gorgeous home! Wow! Great finds! 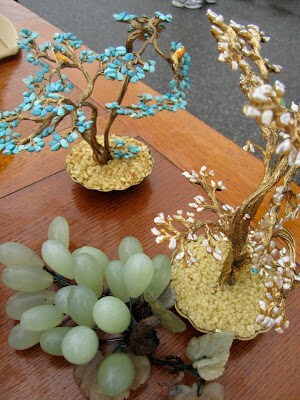 I love those jade grapes! So pretty! The copper trays shined up so nicely, the little one looks great above your range. 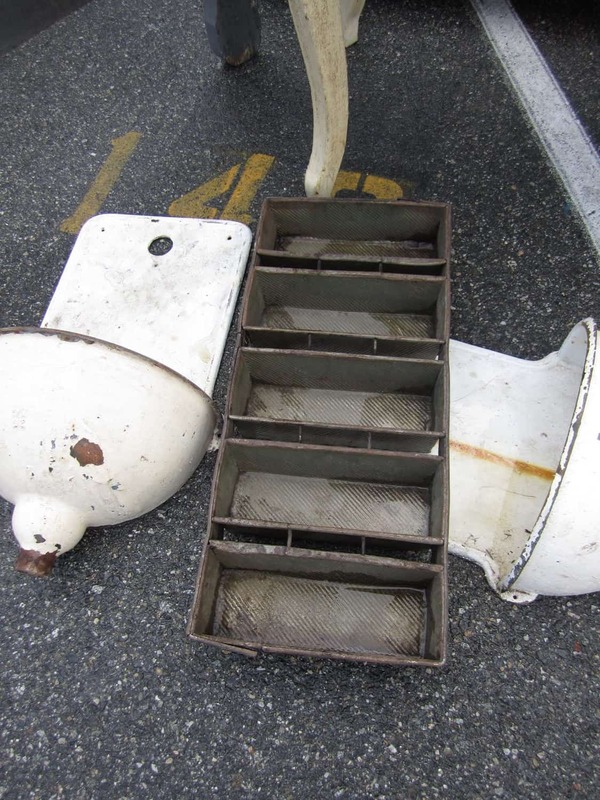 I would have had to have grabbed some of those industrial bread pans. I have no idea for what, but I'd have needed to buy some anyway. Looks like it was a lot of fun, rain and all. Thanks for sharing. How fun! Love all your finds! We don't have any great flea market in our town, but I'm heading to a big one in Springfield, OH this weekend. I can't wait!! 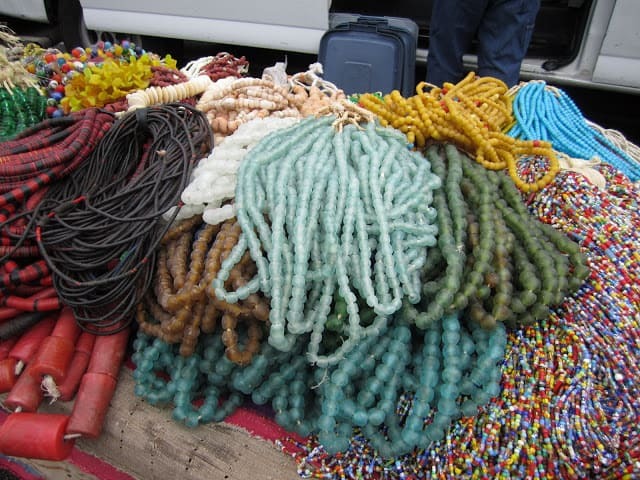 I certainly enjoyed seeing all your treasures. Isn't liquid BarKeepers Friend the best for cleaning copper? 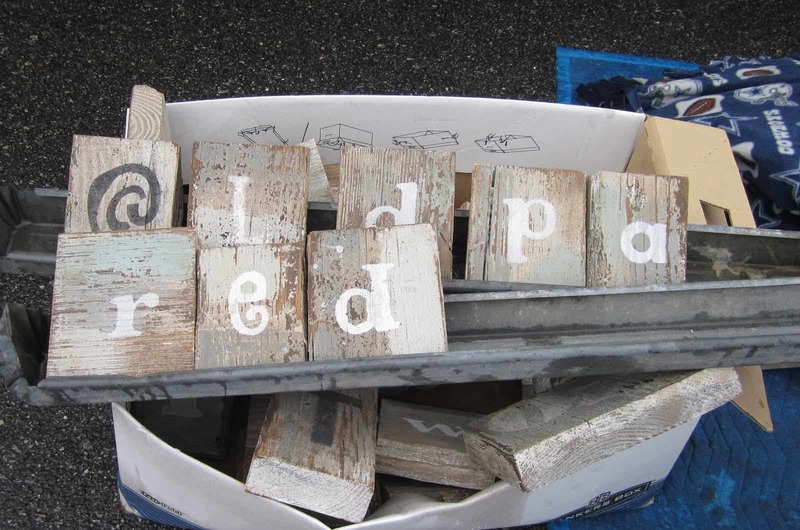 Oh my goodness, I would love to plan a trip to Long Beach just to shop at your Flea Market! I am really loving that tool tray! You did a beautiful job on the copper trays! What a great idea to use those bread pans as shelves! 250 dollars for a license plate. oh my! Heehee- the step stool looks less chic at home , that cracked me up. but…. I do like it! And getting things down easier … is a good thing! 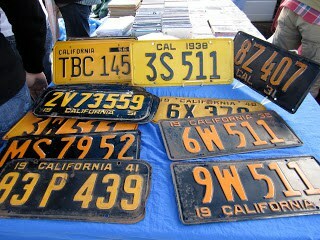 The discerning eye left the license plates, bien sur! Love the copper and brass and glad to hear that "it is coming back!" I have not done a flea market in my own town in some time but need to venture out soon… it is hard to get excited after those in Paris where everything looks unique and fascinating… I just need to put on my "creative glasses." hah! You had a prosperous day! 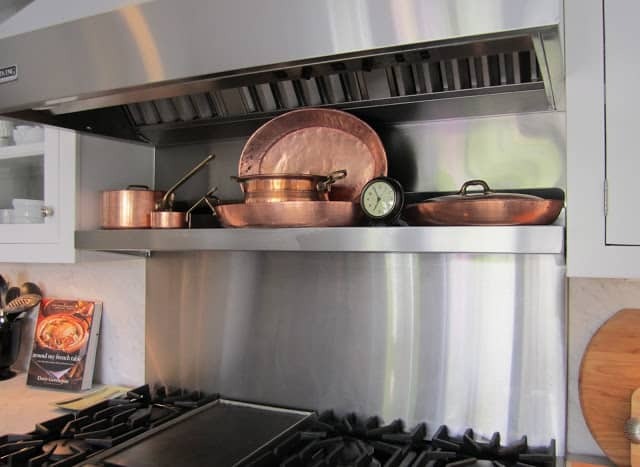 Love the copper, and would have gotten a few of the bread pans. I love the crosses, beads, copper, and brass tray. You made some great finds! The bread pans are cool too. That is definitely something I'd buy. everything for the most part. You really have such a beautiful home. 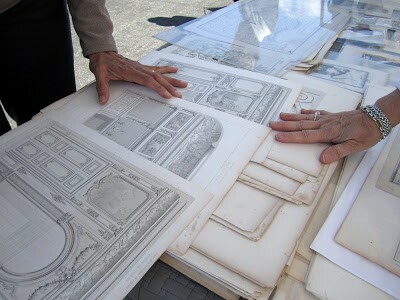 And I love the photos from the flea market. I especially love the tin buckets. Great finds! I love the copper trays, especially! The first time I went to the Long Beach Flea market I think was a couple of months ago…we got there and it was all but empty. Rain or shine, but they run for the hills when it's windy. I'm from the east coast, so I was thinking, really? It's not thaaaat windy. Anyway, we ended up with a souvenir set of NY playing cards in the original box, unopened for $10 and of course no one was there to collect admission, so it was worth it. I need to go back after seeing all your fabulous finds. 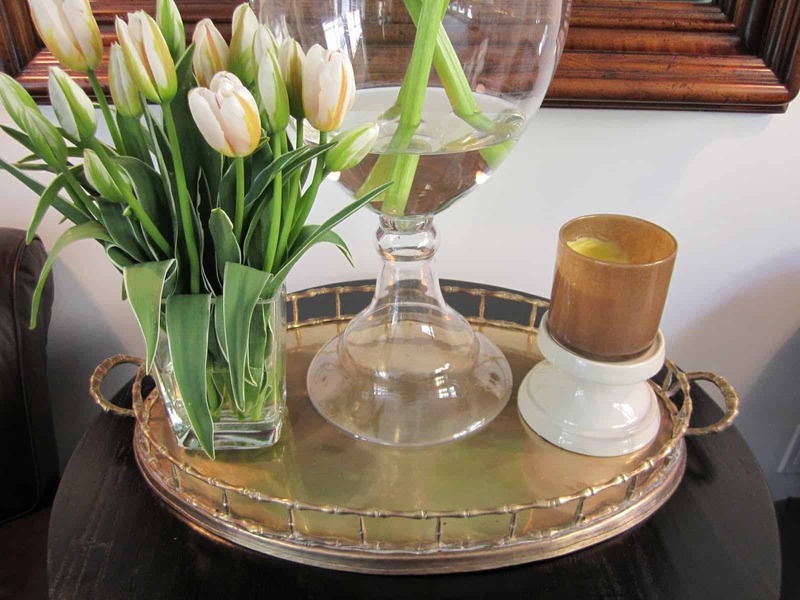 I love that copper tray, the brass tray, and yes, brass is back! 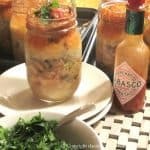 So fun how you showed the photos at the market and then at home! I love that! Do you remember how much the crosses were? I love the copper! They say copper prices are going to go through the roof!! Be still, my heart. Love the copper. fabulous finds! never been to the long beach flea – need to go for sure. 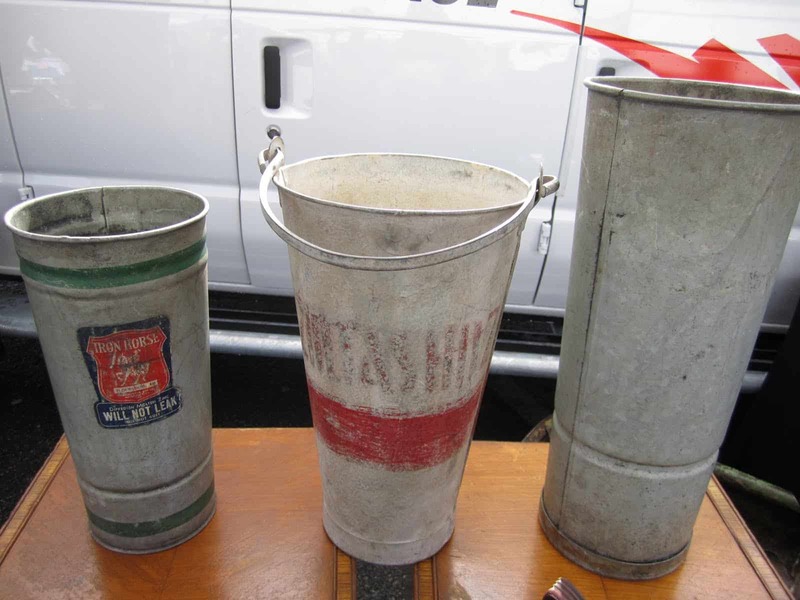 i was rained out of the ventura flea last time – total downpour and all the dealers took off! Oh wow! I love your finds! You are right, brass IS back. I'll be looking for a bit o brass on my next thrifting outing. I suppose I can't leave a busy high school health room unattended today to go to a few estate sales but school will be out June 16th and I am gone baby gone! Looks like you had a blast! Jennifer jennsthreegraces peek in! 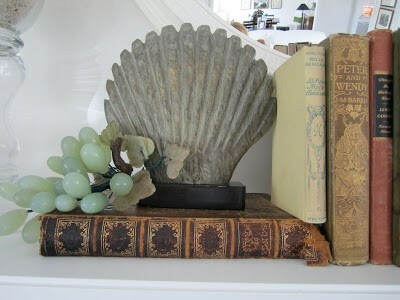 What great finds and thanks for reminding me that I need to make a trip to our local flea market. I would love to see the end product of the industrial bread pans made into shelves! Also, I think the step ladder looks great in your pantry! I have been wanting to go to the Rose Bowl flea market which I know is huge. I am assuming you have been to it, so I am curious… which one of the two do you prefer to shop at? Thanks. 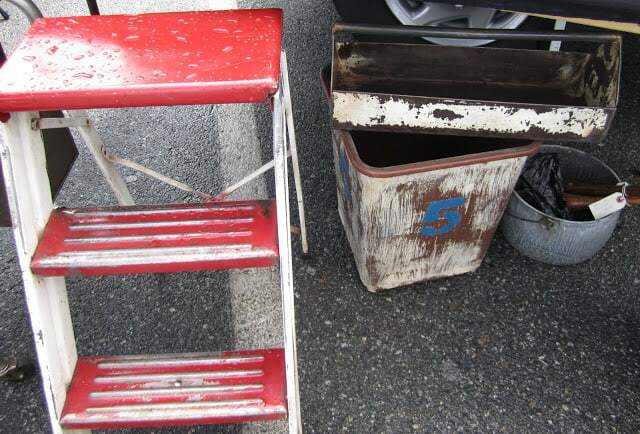 I love all your finds and I think the step stool is great! 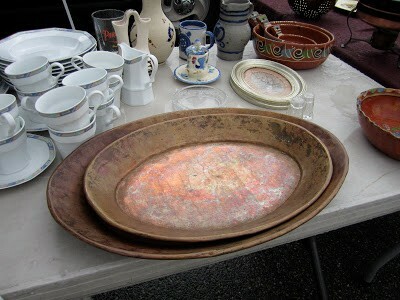 I just bought a brass oval tray from a neighbor's garage sale for $3! Can't wait to style it up. 🙂 Yours looks fabulous. Wow MaryAnn..you a great photographer yourself. :o) Beautiful photos!! And I LOVE all the stuff you picked up–so pretty..and with so much character. This is the kind of stuff I'd pick up too..for the right price..LoL! O and meant to say I love everything you came home with. I am trying really REALLY hard to like the industerial look…it is slowly coming along but still have a ways to go before I want to add it to my home. I do love your little ladder..
You have such a good eye for things!! I definitely have to get to that flea market!!! Do you ever go to the one in Pasadena?? Maybe we could make a trip to it one weekend!! Is brass back? Please tell me burlap is going out. It makes me sneeze. I would have scarfed up those jars in a heartbeat! I'm on my way. I want to go shopping with you next time you go!! 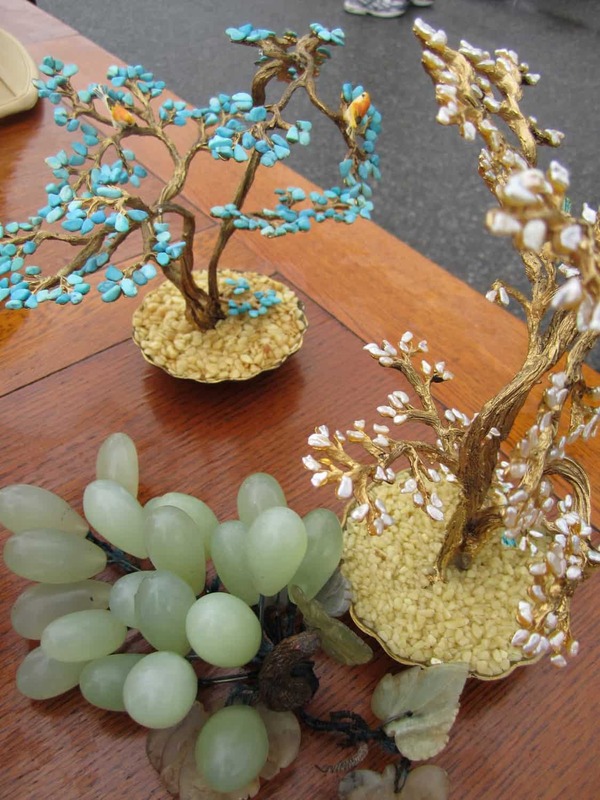 Love your finds – nothing like a Cali flea market – miss them! We hung up our old license plates in the garage when we moved, I will save for my kids unitl college…Love the copper plate, I have a small collection. My latest deal was a big "brass" planter I scored at Good Will for $7, the orig price tag said $120. 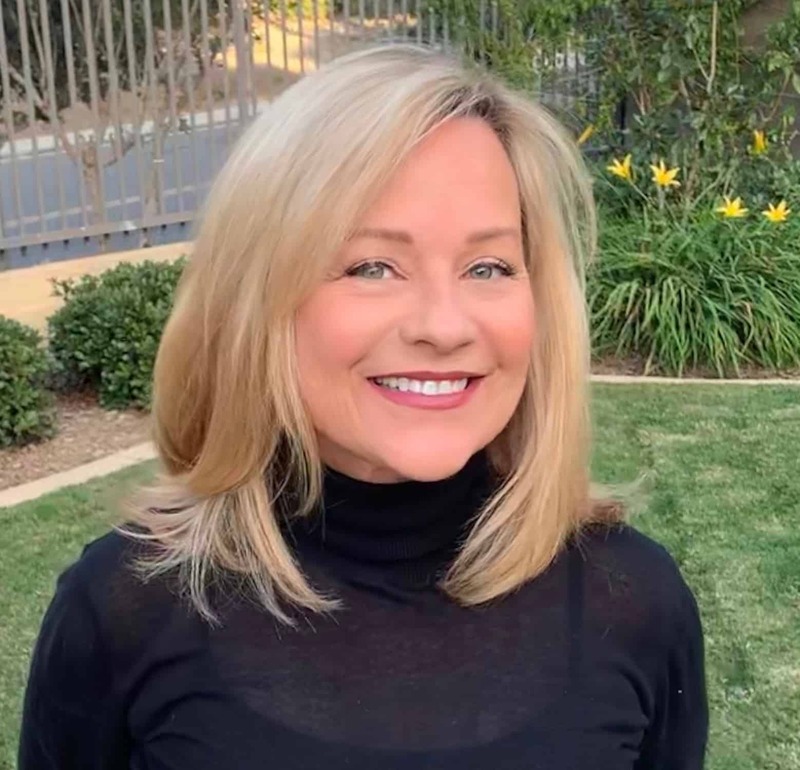 Mary Anne , great post. How I wish I had been there with you! I have not gone to a flea market in months! all your buys are fabulous; and that ladder, maybe you could paint it a warm gray or even copper? unless it is lacquered industrially of course and the you wouls have to go to a car paint shop and then it's like saying "my father bought me a ranch to go with my cowboy outfit"…merci. Hi Mary Ann, How lucky you are to have this kind of flea market close to you. I love all your buys but especially the jade grapes. Thanks for joining my Open House party. The vintage stone fruits are so pretty and the beads, oh my, makes me want to hurry up and finish getting unpacked from my move so that I can get my jewelry supplies out and start playing around with some ideas I've had. Thanks for the inspiration! I WANT those grapes…so my colors! Love everything you bought…I just recently bought a brass tray like that….can you believe that brass is back????? 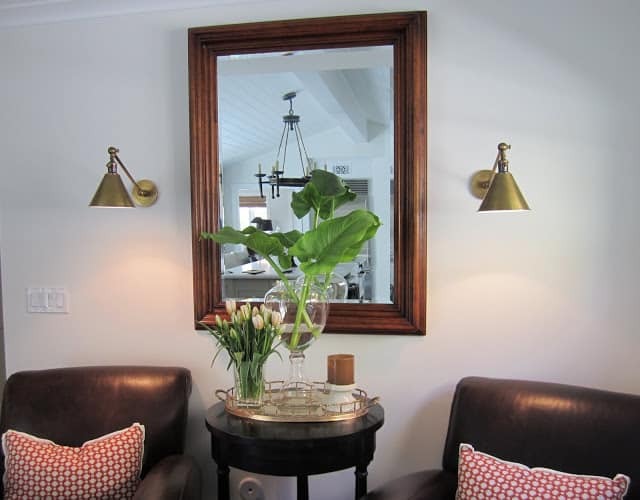 Loved your home tour on Remodelaholic. Looks like you have been hard at work on your home. It's beautiful. Thanks for letting us take a peek inside! Great blog, great finds, thanks for visiting my blog, I will back again! Thank you for paying me a visit and leaving a comment. I love your finds! Everything fits in perfectly in your home. We have an amazing flea market in NC. I go almost every weekend I'm not at the beach. 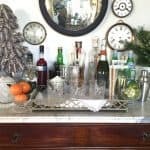 Love you finds and that brass tray is one of my favorites! Looks like an amazing flea market. The stool is pretty cool and I probably would have bought it also. My hometown has a flea market that I haven't been to in years. I'm going to make the trip up there to check it out this summer though. This is my first time here! 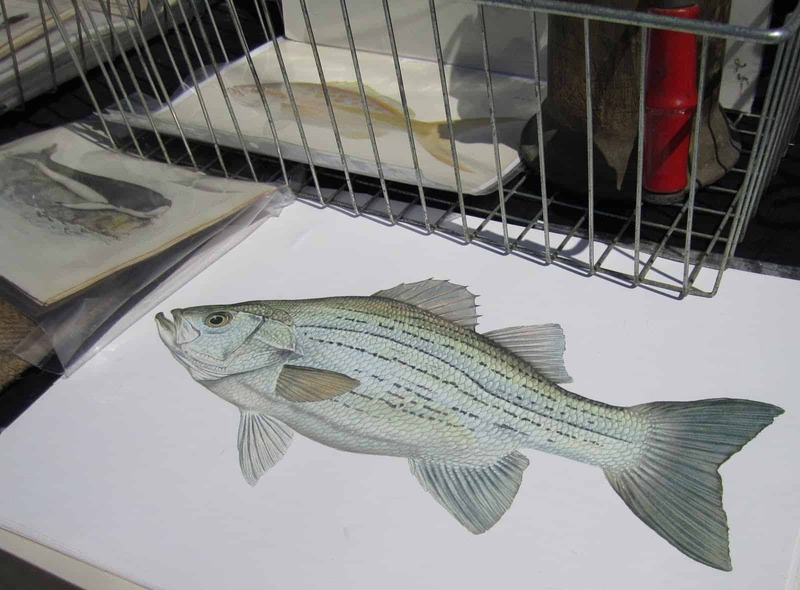 What a wonderful blog with great pictures! I came via Sotheran Hospitality! I will be back for more…nice to meet you today!